The scenic spot of the world's largest radio telescope in Pingtang county, Guizhou province will be opened to tourists in the second half of this year. This single-aperture telescope, which has a diameter of 500 meters and is the size of 30 soccer fields, sits in a bowl-shaped valley between hills. The construction of this project started in 2011 and was completed in September, 2016. 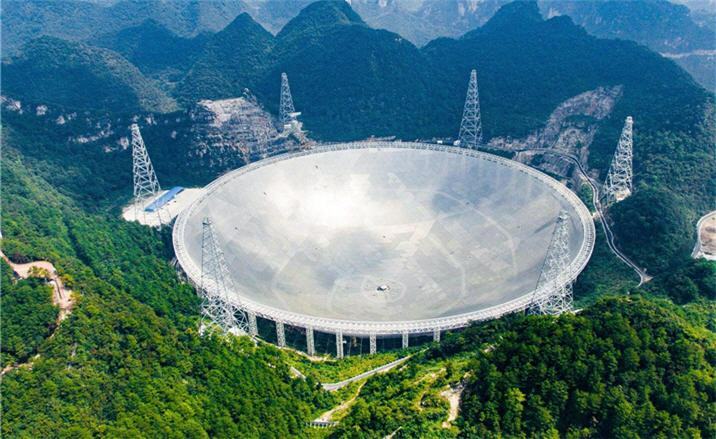 It is the world's largest single-aperture telescope, overtaking the Arecibo Observatory in the United States territory of Puerto Rico, which is 305 meters in diameter, Xinhua News Agency reported.